Last year I did some posts on my favourite skincare and makeup products of 2017 so I thought I'd do another for 2018! One of my goals from last year was to step out of my comfort zone with my makeup and I definitely feel like I was able to do that by incorporating more colour into my looks! I didn't really know whether to include this product in my skincare or makeup post but since I usually use it as a base for makeup I thought I'd add it here. I really love how moisturizing this product is and it also helps to reduce any redness I might be having. I included this in my favourites from last year but it's so good that I had to include it again! I love how it gives the skin such a dewy skin-like finish and gives light to medium coverage without feeling heavy. Exams are almost over and I've been watching lots of Christmas movies and listening to my Christmas playlist on repeat for a few months now so I thought I'd put together a last minute gift guide! I always love scrolling through other peoples gift guides and find them super helpful so hopefully, this one will give you some ideas! One of my favourite lip products is the Fenty Beauty Gloss Bomb(C$23). It comes in three different colours that are all super flattering for all skin tones! They look really good by themselves and also layered on top of other lip products! Candles make such a good gift and the Gourmand Candlesfrom Urban Outfitters (C$16) are amazing! I would be happy with getting anything from Glossier as a gift but the Balm Dot Coms (C$15), in particular, are really amazing! Especially coconut and birthday cake! I can't believe it's almost the end of the semester already, exams are coming way too fast! I'll definitely be posting a gift guide soon but in the meantime, I thought I'd share a few things I've been loving from this month! ps, this blog post was sponsored by EOS and Her Campus Media! All opinions and thoughts are my own as always! I've been doing a lot of face masking this month and my favourites have been the AHA Brightening Maskfrom Dr Roebuck's and the Mega Greens Galaxy Packfrom Glossier. They're such a good duo to detoxify and brighten! Fall is finally here and I can't believe it's already midterm season! To procrastinate studying I thought I'd put together a post of some things I've been loving lately! 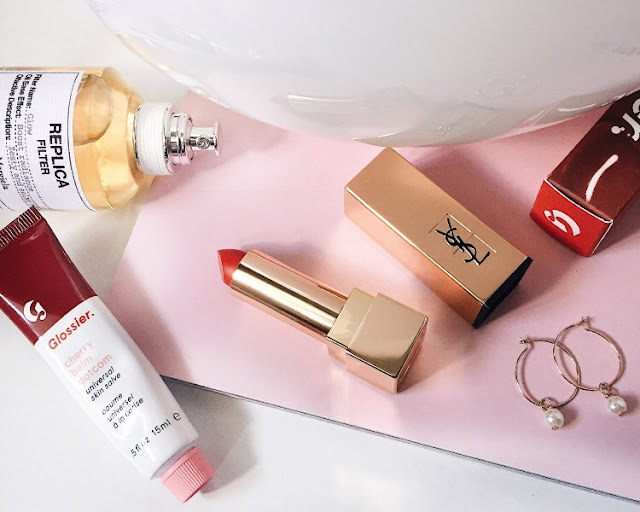 Glossier Youis my go-to scent for the fall season! It smells really clean, warm and super subtle which I love! Lazy Sunday Morning is a scent that I unironically love to wear on Sundays. It truly smells exactly how the perfect Sunday feels! Another scent I've been loving lately is Pistachio Brûléefrom Urban Outfitters! 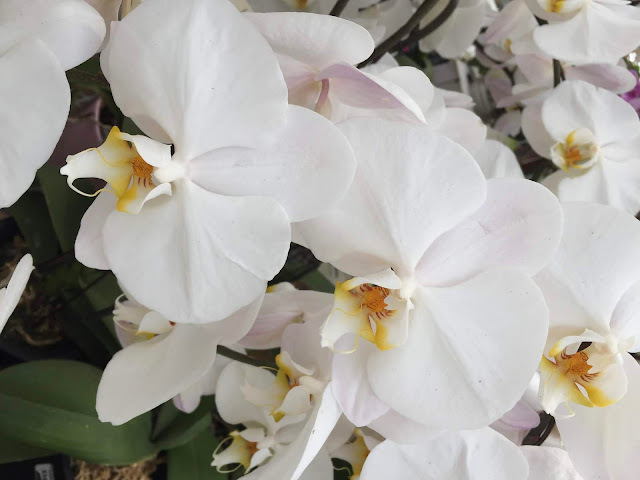 It smells really sweet and warm so it's perfect for sunnier days! My makeup lately has been pretty simple! Usually, I use the Clé Cosmetics CCC Cream, Glossier Cloud Paintin puff or haze, Glossier Lidstarin lily or slip and the YSL Tint-in-Balmin 01. I kind of can't believe it's already July and summertime! I've been off from university for a few months now and I've been doing a lot of relaxing and also preparing to move into my first apartment in August which I'm super excited about! I've been picking up a lot of cute home decor pieces so I'm planning a post for that but in the meantime..here are my June favourites! I've been really into blush and highlighter lately, more specifically the Milk Makeup Blush Oil in Crave and the Liquid Strobe in Aura . They blend super easily and the colours are so pretty! My favourite summer fragrance is Beach Walksince it reminds me so much of being at the beach. It smells like sunscreen and sunshine (if sunshine had a scent lol). My skincare favourites from June are both Caudalie products! The Vinosource Moisturizing Sorbetis so hydrating and smells amazing and the Grape Wateris perfect for super hot days since the mist is so fine and soothing. 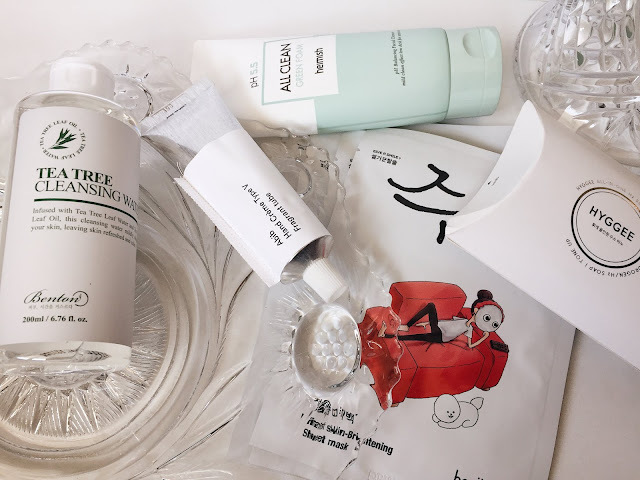 I recently got the chance to try and review some products from the website Stylekoreanwho have a huge selection of korean skincare and makeup from various brands! I have been slowly getting into kbeauty recently so this was a great chance to try out some different things! I wasn't a huge fan of this soap mostly because I don't think bar products are the greatest thing to use on your face (it just doesn't seem that sanitary) although my skin did feel super clean and soft after using it.